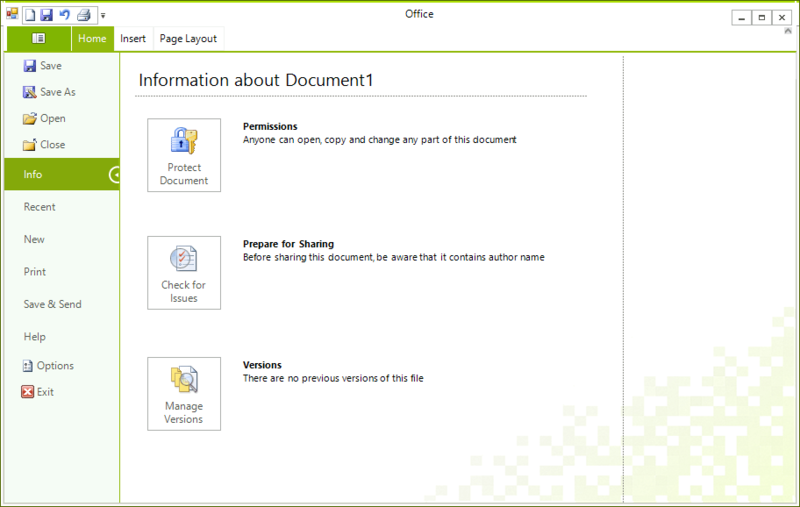 Backstage View is the Office 2010 replacement of the Application Menu. It is a menu that covers the whole window area and contains buttons and tabs. Each tab have a content area, which can be populated with any type of Controls. To enable the Backstage View in RadRibbonBar change the ApplicationMenuStyle property to BackstageView.